Yes, I totally skipped posting my Instagram photos last week, and focused on spending as much time with the kids on their last week before the school started. The kids went back to school on Monday, and I was sure now I’d have more time to focus on working – I was wrong! 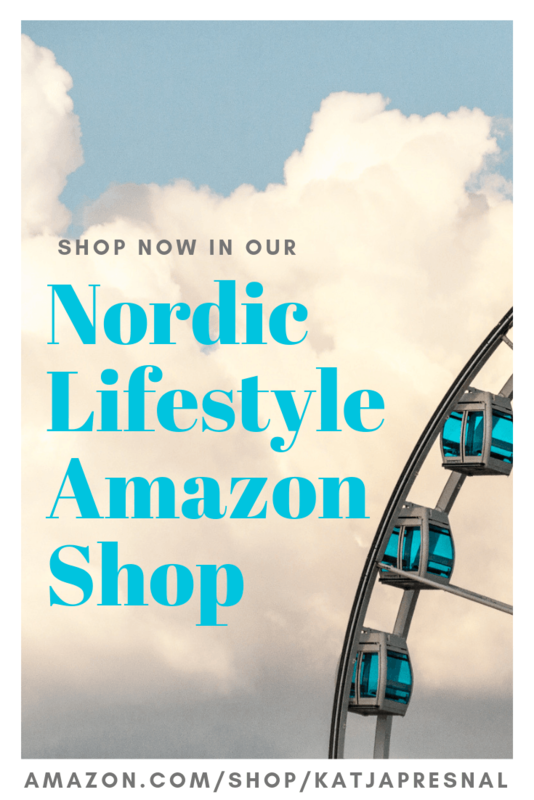 Our kids don’t do after school activities, but between driving the kids, and doing all the back to school shopping (like rain boots – it’s been raining almost daily here, summer is over! ), and doing to dentist I’ve been working even less. I’m already ready for a routine, and hoping we’ll get there soon. But before I post my photos.. please check out all of the #skimbaco photos on Instagram – we have over 300 photos how to enjoy life! 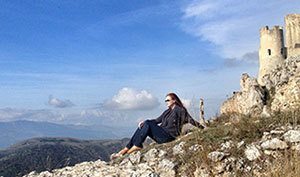 The photos range from taking a wife out for romantic dinner to climbing mountains, from enjoying a cocktail and good food to water sports and traveling around the world – or enjoying what’s in your own back yard. All sorts of skimbacoing going on, and I love it! 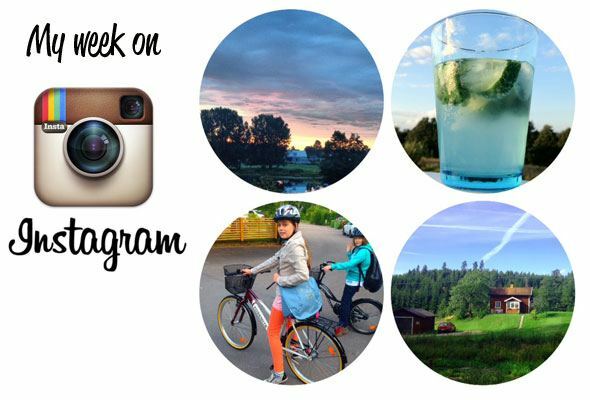 I hope you join us on Instagram and share how YOU enjoy life, just tag your picture with #skimbaco. The photos can also be seen on our Facebook page, hope you connect us there as well. Oh yeah, and my Instagram handle is Skimbaco, easy peasy. 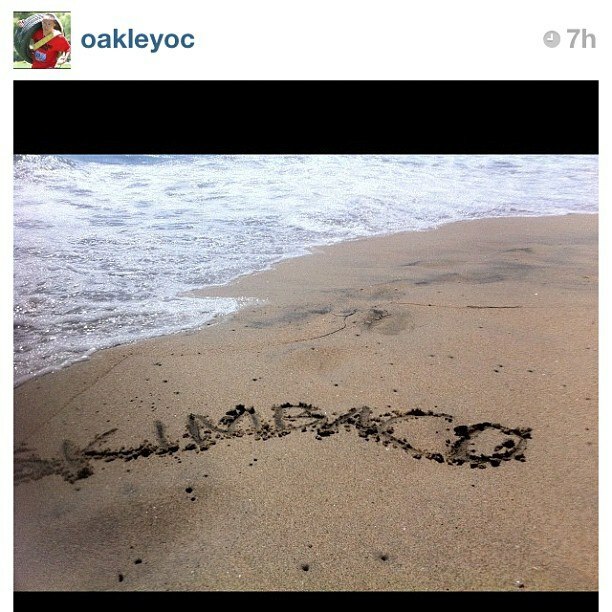 Oh, and above – my FAVORITE photo so far… skimbaco written on the beach, by OakleyOC on Instagram. I hope you connect with him on Instagram, he is all what skimbaco lifestyle is about: enjoying life, loving your family, living active lifestyle and giving back to community – and it doesn’t hurt that he likes Oakley a lot too. Reggie aka OakleyOC is walking The OC Walk To Remember on October 6, 2012 and raising money for OC Walk to Remember, which is a non-profit organization that provides awareness for pregnancy and infant loss, as well as support for parents who have faced a loss of their child. Support him? 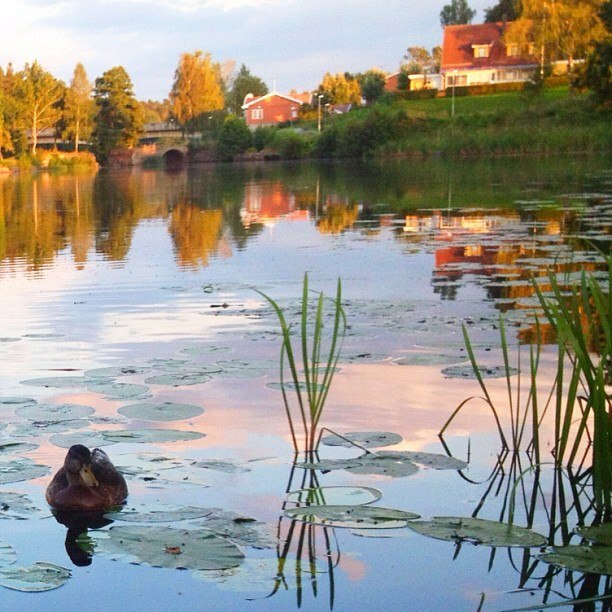 I start my every day by posting a photo of Sweden. Usually it’s a scenic photo, and I love old houses, and love snapping pictures of them. Sometimes it’s just a picture from our backyard, like this one. We live right by water, and this was taken on our last swim of the summer, on the last warm night of the summer. 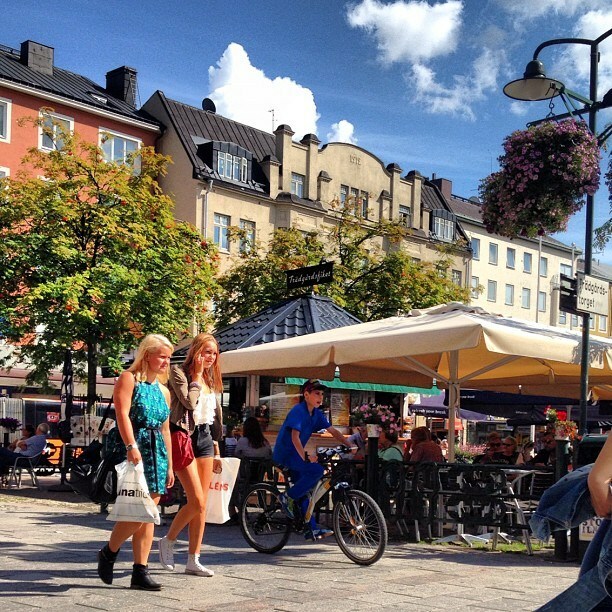 We enjoyed the last days of Swedish summer not just by swimming, but cafe hopping downtown Linköping, and by ice cream eating in the city. Once the rain started coming down we realized we needed rubber boots and better fall jackets for kids.. so we shopped and shopped trying to find everything.. 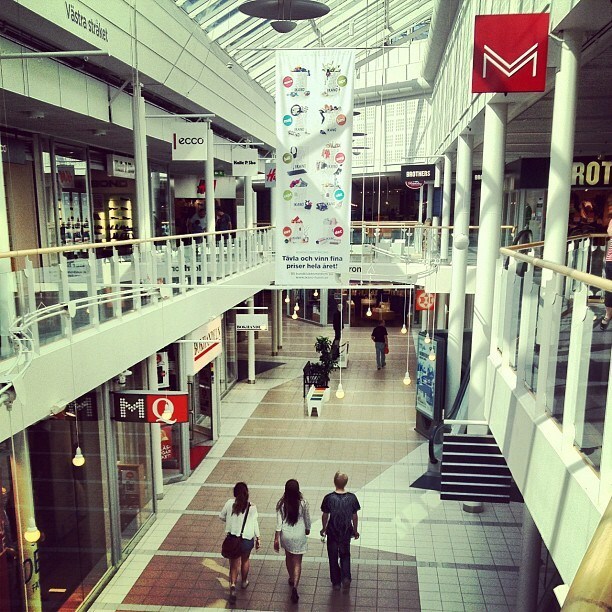 This picture is our local mall Ikano, in Linköping. Most of the clothes we already bought in NYC… but this is the shoe bounty we got this week. I love the Hummel and Diesel shoes, and still hoping to have a shopping trip just for mom! 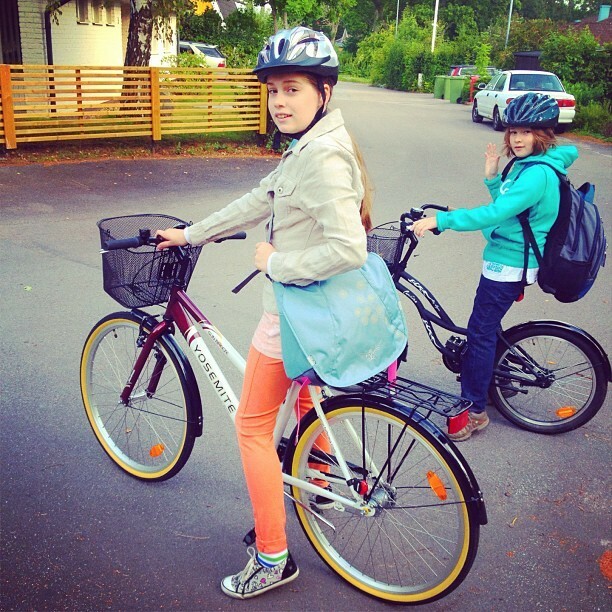 The day before school started we went to a close by zoo – it was amazing! They had a condola that took you on the top of the wild animals and you could see the sea view.. it was gorgeous, I had never seen anything like that before, we all liked it a lot. I’ll post more about it later. It’s missing one child.. but yes, we bike/walk to school everyday! And here is the entire crew and the mandatory back to school 2012 photo. Your kids look to be at great ages now. How old? 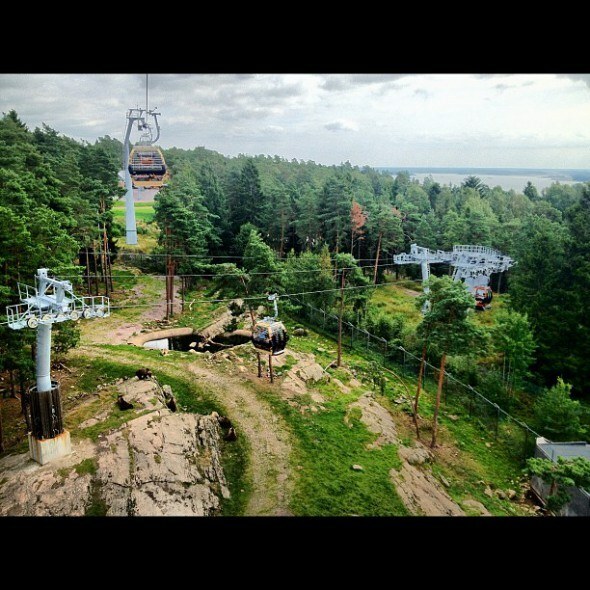 I love these instagram photos, they are beautiful. 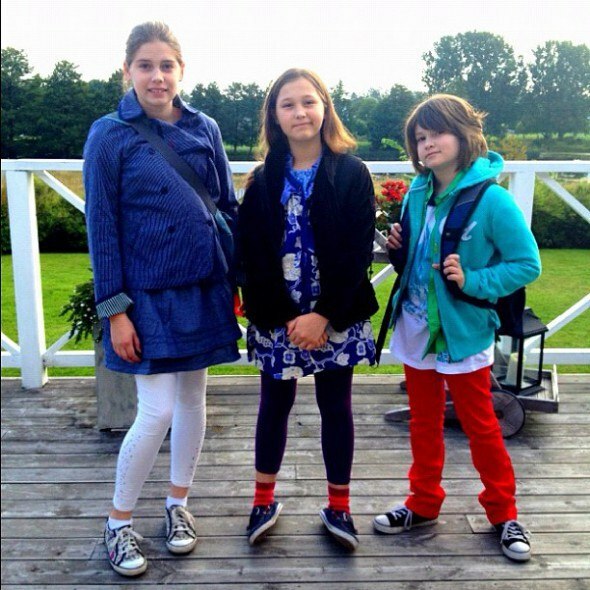 Hope that you guys are well, hugs! Thank you! Miss you Dalia! Can you believe how big Isabella is? BTW, we’ve been planning on a trip to Germany to visit old neighborhoods, you should come with us!! I just love all of your photos. I found you thru Leigh @ HinesSight Blog. I love looking thru the #Skimbaco hashtag. So many great photos. Hope your family has a great weekend.